A lot of things have changed since I made these cupcakes, but one thing has stayed the same: I’ve eaten one for breakfast every morning with a hot mug of tea. 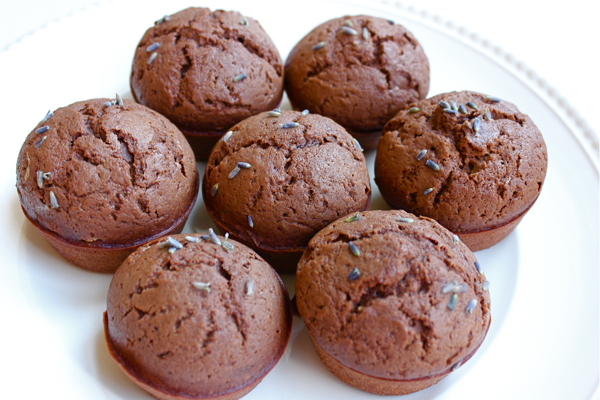 The lavender in these cupcakes make them perfect to eat with tea. I like them with green tea because of its lower caffeine content, but I think they would be an absolute perfect match with an Earl Grey. If you’d rather have these cupcakes at other times of day, I definitely recommend adding 1/2 cup of chocolate chips to the batter to play up the chocolate in them even more. 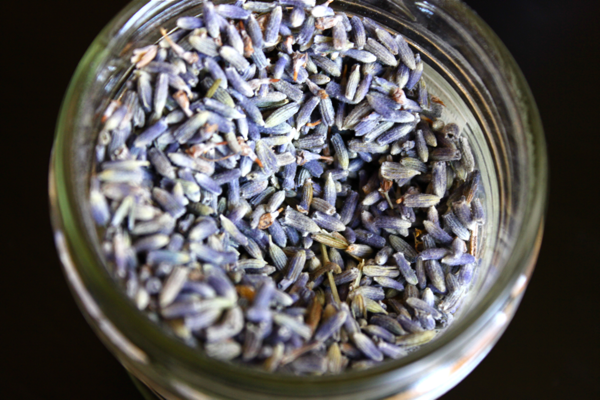 This is lavender. My mom bought me some at Williams and Sonoma. 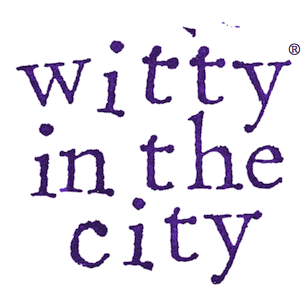 I smell it, and it’s relaxing. 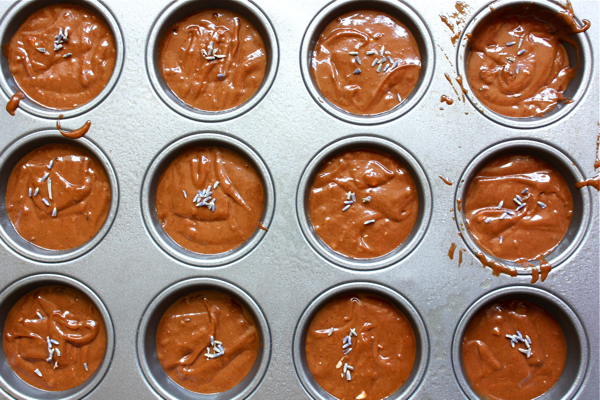 To make these cupcakes, crush up 1 tablespoon of lavender. I did it in a food processor, but the pieces were still pretty big. A spice/coffee grinder would be more effective. Then, preheat your oven to 350ºF. 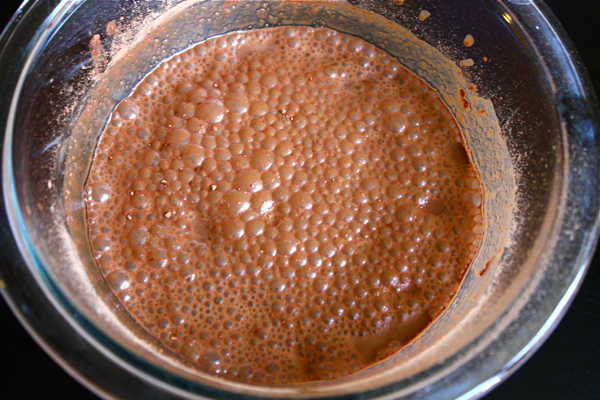 Whisk together 1/2 cup of unsweetened cocoa powder and 2/3 cup of hot water. Even at this step, the chocolate smells amazing!! In a separate, large bowl, cream together 2 tablespoons of butter, 6 tablespoons of vegetable oil, and 1 cup of white sugar. I learned from America’s Test Kitchen that using butter alone will mute the taste of chocolate in baked goods. They say that it’s best to mix the butter with oil, so that’s what I did. Next, mix in 2 eggs, one at a time. 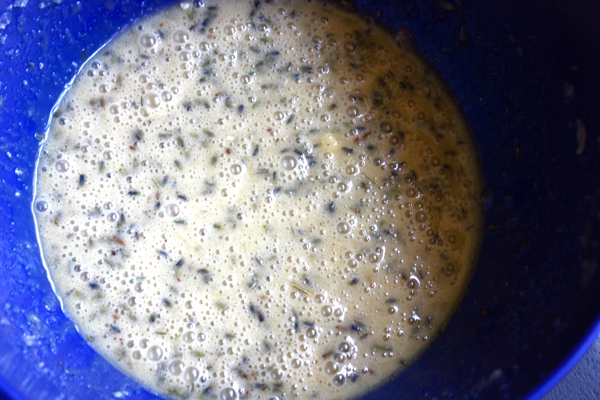 Also add in 1 teaspoon of vanilla extract and the crushed lavender. Mix in 1.5 cups of flour, 1 and 3/4 teaspoons of baking powder, and 1/2 teaspoon of salt. 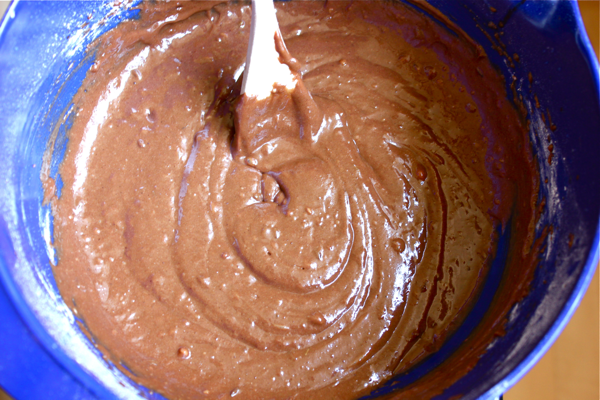 After that is combined, mix in the chocolate. If you’re adding chocolate chips (which I recommend unless you only want to eat these cupcakes for breakfast), stir in 1/2 cup now. 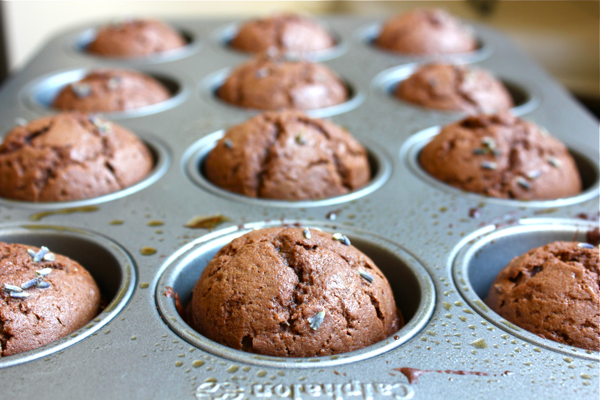 Prepare your muffin tin by putting in cupcake wrappers or coating it with nonstick spray. I couldn’t find wrappers anywhere (not at CVS or Anthropologie, ridiculous options, I know). 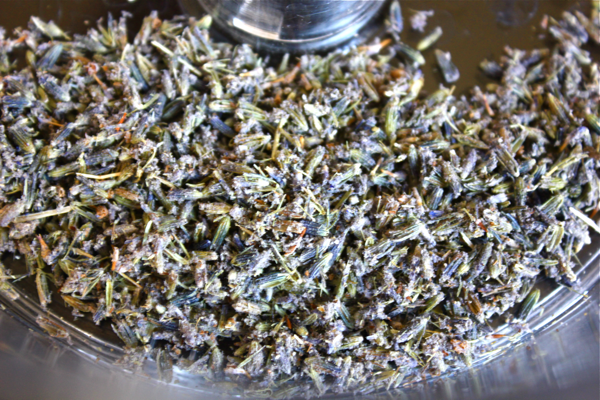 Fill the cups 2/3 of the way with the batter, and sprinkle on some whole lavender for decoration.